If you are looking for the warmth and charm of a natural wood garage door without the maintenance, the all-aluminum Infinity Classic is your answer. The wood grain powder finish looks so real you will have a hard time believing it’s not wood. The Infinity Classic is a great alternative to real wood for multiple reasons – more durability, less maintenance and a better investment overall. These resilient doors will stand up to even the most brutal weather conditions without cracking or splitting and are perfect for coastal regions where corrosion is present. 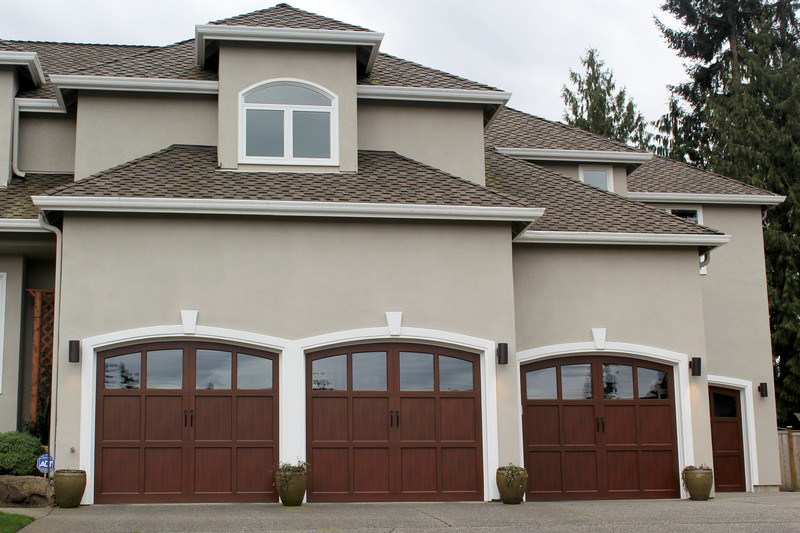 In terms of durability, the quality is unparalleled and will virtually last the life of your home. The Infinity Classic is manufactured in a “zero waste to landfill process” and crafted using only the finest materials available. 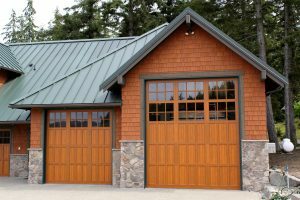 Our powder coats create a higher quality and longer lasting finish than you can get with liquid paint and are available in eight wood grain finishes: Light Ash, Dark Ash, Light Cherry, Dark Cherry, Light Fir, Dark Fir, Mahogany and Dark Walnut. Our finishes are so realistic that they are constantly mistaken for real wood. The Infinity Classic above is installed on a wood clad home. 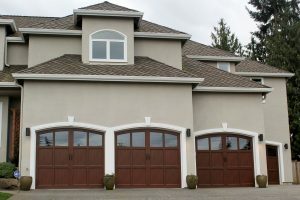 In certain situations and climates, a wood door may require a more committed level of maintenance to maximize its beauty and life compared to other materials. The Infinity Classic on the other hand requires no extra work or forethought to protect your investment from U.V. deterioration and moisture. We recommend a quick occasional rinse to keep the surface dirt free. Although the Infinity Classic requires a higher initial investment than most natural wood doors, it pays for itself through years of carefree beauty. The amount of money needed to re-finish and protect a wood door makes the Infinity Classic the smart choice from a long-term economic standpoint. 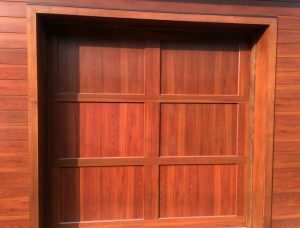 If you haven’t read enough to convince yourself to buy an Infinity Classic, go to the NWD Gallery or our website to see just how beautiful these doors look on every project. Otherwise, head over to our dealer locator to find a dealer near you!